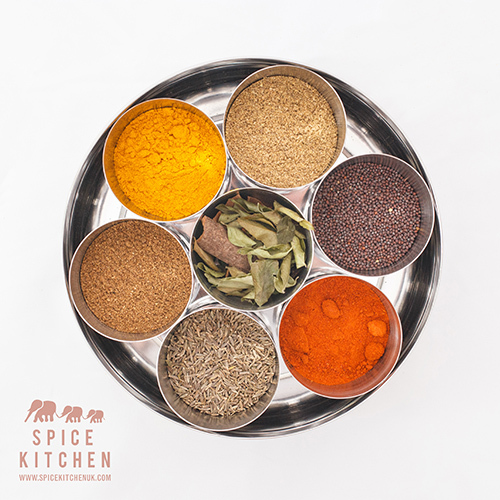 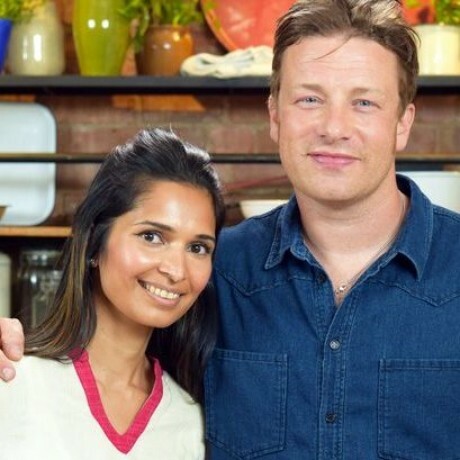 Discover the secrets of Indian home cooking with the star of Jamie Oliver's FoodTube, Maunika Gowardhan's. 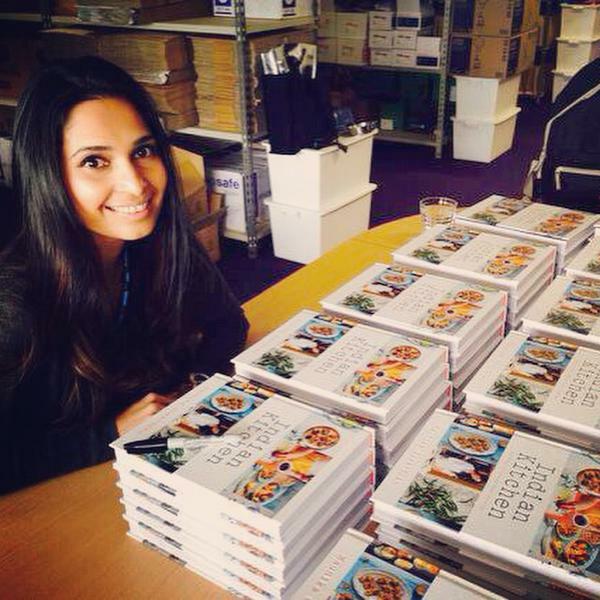 Her book "Indian Kitchen: Secrets of Home Indian Cooking" is her stunning debut cookbook. 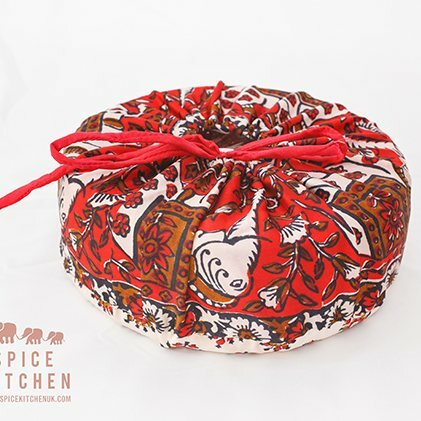 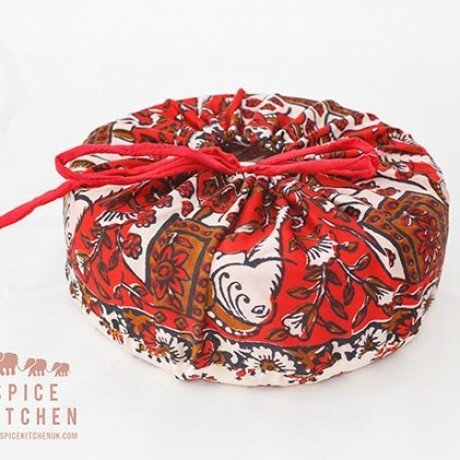 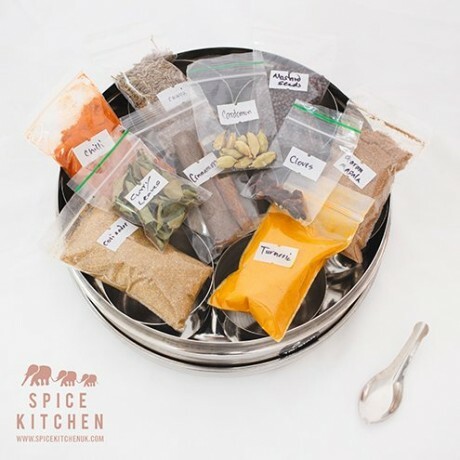 Each tin comes with a see through lid to give you a clear view of the spices inside along with a spoon and a handmade silk cover. 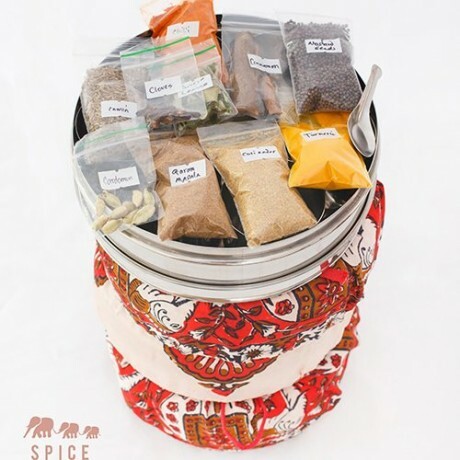 Spice tin will have an outer lid with clear perspex (as pictured) or it may be solid stainless steel. 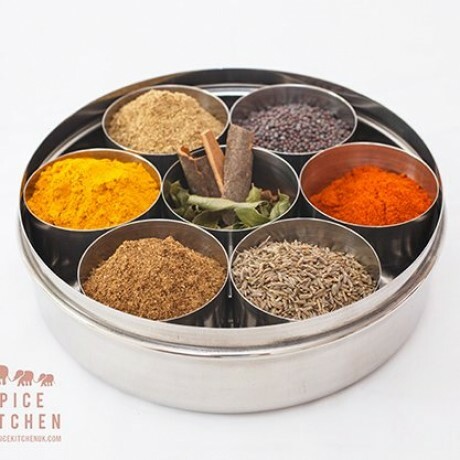 Due to stock levels we cannot guarantee which you will receive however both sorts are of excellent quality and do not change the functionality of the tin.